A little harsh to look at, TCHOW Rainbow still provides an enjoyable maze based experience. 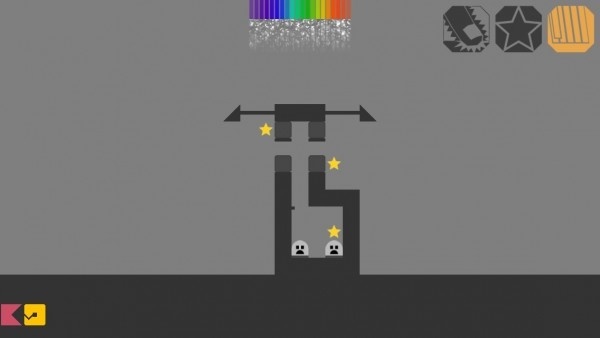 TCHOW Rainbow isn't the kind of title to show off the graphical prowess of iOS devices, given its fairly rudimentary visuals. It is, however, one such title that demonstrates what can be accomplished with touch screen controls, and offers a fairly challenging maze-based experience. Players must direct a rainbow to each inhabitant of the gray and dismal island that forms the setting of the game. This is done through holding one's finger to the screen in order to direct the colorful ribbons in the right direction. It's possible to lift a finger up to re-assess the directional trajectory but for those wanting to gain full marks for completing all secondary objectives it's vital to keep a finger held down. Further objectives lie in the chance to collect all the stars within each stage, as well as retain the full rainbow by the end of a level. It makes for a pretty challenging if open-ended experience. It's possible to complete each stage in different manners, rather than there being one set solution. Indeed, it's worth taking the time to plot out a route, especially when planning to complete a stage without lifting a finger. 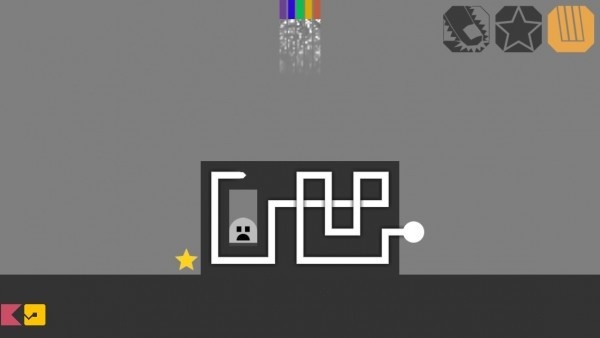 As a purist maze-based puzzle experience however, TCHOW Rainbow does the job well. While 30 or so levels doesn't sound particularly weighty, that's quite enough for those keen to work towards the best solutions. More importantly, it's a title that's easy to return to when there's a spare moment, proving quite enticing.